Okay, I won’t lie — some niches do lend themselves to coaching more than others. Everyone’s heard of business coaches, dating coaches, and fitness coaches. And if you blog on those topics, coaching people will feel like a natural step. On the other hand, nobody’s ever heard of a web design coach, an anxiety coach, or a travel coach. Those niches aren’t quite as compatible with coaching as the previous ones. But that doesn’t mean you can’t offer a coaching-like service. You don’t have to label it “coaching” if it doesn’t feel natural, but you can offer something that gets you one-on-one time with your audience. If you blog about web design, you could offer website reviews and feedback sessions. If you blog about anxiety, you could offer guided meditations or in-person teaching of techniques to calm down. If you blog about travel, you could offer sessions where they tell you their dream trip, and you help them create the ultimate money-saving itinerary. So let’s be clear: You don’t have to be a coach in the traditional sense of the word. The important thing is that you get to talk to (and help!) your audience in a one-on-one setting. Let’s be real. Your first coaching sessions will always feel scary, and you’re not going to feel ready the first few times you do it. But you shouldn’t wait to start coaching until you feel ready, because you won’t feel ready until you start coaching. Early on in my blogging career, people started asking me to coach them. I had no idea what this meant or how to do this. So, of course, I said yes. I began meeting with people in person and on the phone and seeing how I could help them. When we met, I realized what Derek Sivers says — ”what’s obvious to you is amazing to others” — is true. Yes, you read that right. One of the world’s most popular writing coaches had little clue what he was doing when he started coaching. He was just confident he could help people get results, so he said yes. And that’s the point: Coaching clients don’t expect you to be perfect. They just want you to help them get results. To get past this, go ahead and offer your first 5–10 coaching calls for free. You’ll not only gain experience running a coaching call, you’ll also gain the confidence to charge people for a session when the time comes. 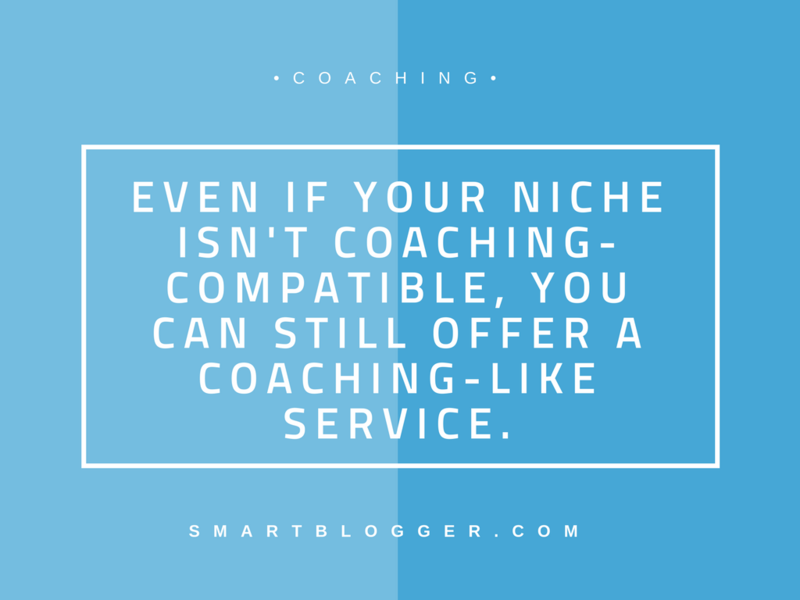 Are you feeling convinced that you can offer coaching on your blog? Good, then we can talk about why you should. The truth is, coaching can be a godsend for your blogging business. I’ve been blogging for almost four years now, and it’s only been in the last year or so that I got the readership, engagement, and profitability I’ve wanted all along. I don’t think it’s a coincidence that I also started coaching about a year and a half ago. One of the coolest things about coaching is that clients will tell you their own specific struggles without you having to guess. I know that sounds uber-simplistic, but how many hours do you spend scouring the web for information on your audience instead of just asking them directly? Coaching clients are incredibly forthcoming with what they need your help with, which means you’ll gather a ton of valuable insights for your content strategy. Take Jacob McMillen, who noticed some tangible data differences after running his first coaching/mentorship program. He’d reached the six-figure mark as a writer, and wanted to know how he could help other people do the same. I decided to mentor 10 writers for 3 months and see what would happen. I priced it at $200 per month to make it accessible and all 10 spots were filled within a few days. My hope was that, even if I wasn’t successful, I would get a more intimate understanding of what was really holding people back. From mentoring only ten people, he already got a wealth of information and results. It was a lot of work, but worth it in the long run. After his coaching experiment, the insights he gathered helped him develop more compelling content for his particular audience, and as you can see, his engagement shot way up. One of the best parts of coaching is that you can make money right away. As we saw above, Jacob mentored ten students at $200 a pop, which means he brought in $2,000 he wouldn’t have otherwise. In my own business, I let people book one-off sessions ranging in price from $125 to $200, and sometimes I even book month-long programs for corporate teams for thousands of dollars. Even if you don’t start out charging $100+ per session, and even if you’re only getting the occasional client at first, it’s still cash in your bank. He’s right. You’ll never know if you’ve got something worth paying for until someone pays for it. One of the most popular ways to make money as a blogger is through product development — but with the amount of time that takes, it can be a risky venture if you don’t validate your product idea beforehand. And you can validate your product idea by selling coaching sessions aimed at helping people reach the same goal. You’ll already know people are willing to pay for it, so you’ll reduce most of the risk up front. Not only that, but the insights you get from coaching will help you refine your product and maximize its effectiveness. I was looking to find my first product to run through Freelance Writers School. I needed to find out what people needed, and what I could deliver to them in a small space of time. So I asked around some freelance friends on Facebook, explained to them what I was doing, and offered to coach them for free on some of the problems they were having in their business. James got one friend on board and asked him what his problems were. James then offered his solutions, and when they worked, he’d add them to his course as modules. When they didn’t work, he’d cut them and try something new. When James was done, he’d helped his friend grow his freelancing business, and he’d assembled 90% of a course. He then continued to test his solutions on paid coaching clients, noting where they hit roadblocks or had further questions. This helped him refine his course further, making it even more helpful and easier to navigate. 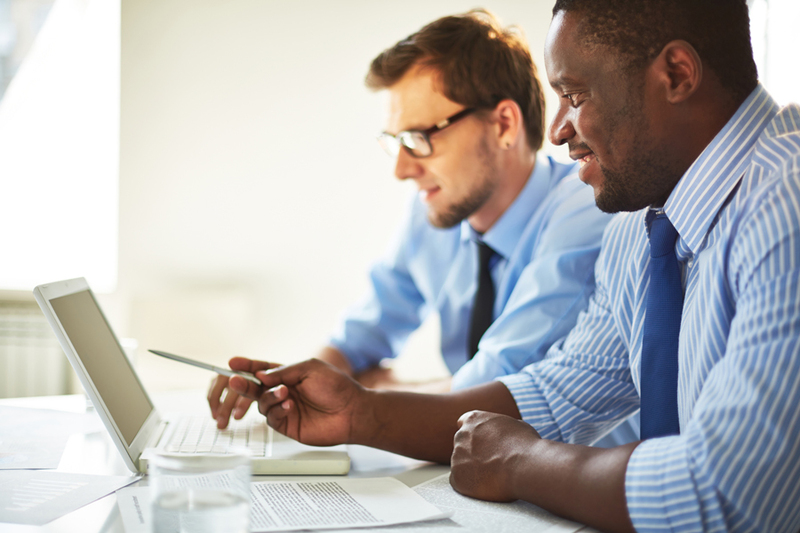 Your first coaching offer doesn’t have to be perfect, especially if you’re at the first stages of using it as a method of market research and a simple stream of revenue. You’ll refine your offer(s) over time, and only experience with coaching can teach you how to become a better coach for your audience. It’s a win-win-win situation, and the world is waiting for your expertise. About the Author: Chelsea Baldwin is the founder of Copy Power, where she teaches copywriting and helps entrepreneurs make the kind of bang-bang impression that gets remembered. (Even days after people leave your site.) Use her free 3-part email course to learn how to write astonishingly memorable copy for yourself, even if you’re not a writer.